The Bridger Family Association was organized in May 2006. The organizational meeting was held at the Historic St. Luke’s Church in Isle of Wight County, Virginia. The Association was organized by descendants of Joseph Bridger (1628-1686) and his wife Hester Pitt of Isle of Wight County, Virginia. 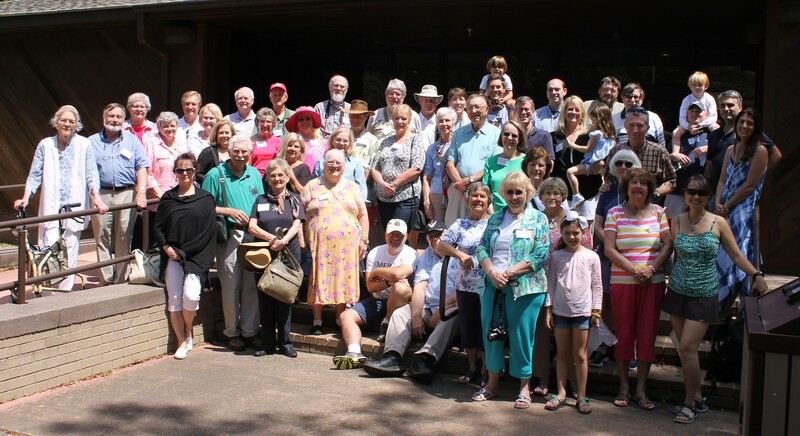 The Association members have met annually every year since 2006. As of April 2013 we have 76 Associate Members and 41 Voting Members. If you would like additional information about the association or would like to join, please contact President Jean Tomes at jtomes@embarqmail.com or call her at 252-537-8448. Member of the Virginia House of Burgesses for most, if not all, of the years 1657/8-1673. On Committee to adjust the Virginia/Maryland boundary on the Eastern Shore. Co-Acting Governor of Virginia, 1684 & 1685. Colonel of Isle of Wight County’s militia by 1673-1686. Adjutant General of Virginia, 1666. Commander of Nine Virginia Counties for Defense against Indians, 1680. Commander of Four Virginia Counties for Defense against Indians, 1683. Deputy Vice Admiral of Virginia, 1683. Owner of over 16,400 acres in Isle of Wight, Surry, Nansemond, and James City Counties in Virginia and in Somerset County, Maryland, making him the largest landowner of his day living south of the James River in Virginia and one of the ten largest in Virginia. Builder of Whitemarsh Plantation’s 21-room brick mansion — one of likely the two largest houses ever built in 17th-century Virginia. Traditional builder of Historic St. Luke’s Church, Isle of Wight County, Virginia. Probably constructed circa 1682, this Gothic brick structure is the oldest intact non-Roman Catholic Church building in the Western Hemisphere. Joseph Bridger’s ledger stone in the floor of St. Luke’s Church, Smithfield, Va.
Ginger Vereen Peters, Raleigh, N.C.
Caryn Ann Cady Johnson, Virginia Beach, Va.
Elaine Hatfield Powell, Orlando, Fl. R. Cameron Bridger, Raleigh, N.C.
George R. Bridger, Wilmington, N.C.
Joseph L. Bridger, Raleigh. N.C.
Betty Bridgers Cullen, Fairfax, Va.
Bridger Eglin, Baton Rouge, La. Margaret B. Gunn, Williamsburg, Va.
Caryn Cady Johnson, Virginia Beach, Va.
Bonnie Bridger Mittelmaier, Williamsburg, Va. Interior of St. Luke’s Church, Smithfield, Va. Membership is by invitation only. Prospective members must be proposed by an existing Voting Member and be of good moral character. For information about membership, contact BFA President Jean Tomes at jtomes@embarqmail.com. Those individuals who can document their direct blood descent from Gen. Joseph Bridger and his wife Hester Pitt to the satisfaction of the Association. The Association may give reciprocity to the approval of an individual’s Bridger descent from other lineage societies. There is a $25 application fee and a $250 lifetime membership fee. Those individuals who are interested in the Association’s mission. There is a $125 lifetime membership fee. The $125 can be applied toward a Voting Membership. Those individuals, under the age of 21, whose parent(s) or grandparent(s) are either a Voting Member or an Associate Member. There is a $50 life membership fee. That $50 can later be applied toward either an Associate Membership or toward a Voting Membership. We currently have over 250 families who receive the BFA newsletter and claim to be descendants but have not yet submitted their Membership applications. A number of cousins are working on their lineage papers. After ten years of research, compiling and editing, we are pleased to share Bridger Family Chronicles, From the Old World to the New with our cousins, educators, and other researchers. Both books have now been revised in a second edition. Volume I is a genealogical book beginning with Henry Brygger (1480) Godalming, Surrey County, England which includes twenty generations down to the present. Family surnames are Brygger, Brydgere, Bridger,… More > Bridgers and Bridges. The book contains 800 pages of maps, a timeline, a gazetteer, wills, deeds, census records, tax lists, birth certificates, marriage records, death certificates and a 654 page genealogical report on 6,500 individuals. Volume II (796 pages) connects 27 additional families to Volume I. These families are direct descendants of Henry Brygger (1480) and connect to families already in Volume I. Along with the 455… More > pages of new genealogical reports, the book contains sections that include information on descendants from Volume I and II. The following sections are included: Additions to Volume I, a Family Picture Gallery and a Family Architectural Gallery, Deeds, Wills, Family Bibles, Remembering the Military of American Wars, Memorial Tributes, and Gleanings. The two volumes contain information on 9,404 individuals with 6,350 direct descendants of Henry Brygger. You need to sign up for a free account to see the photos. 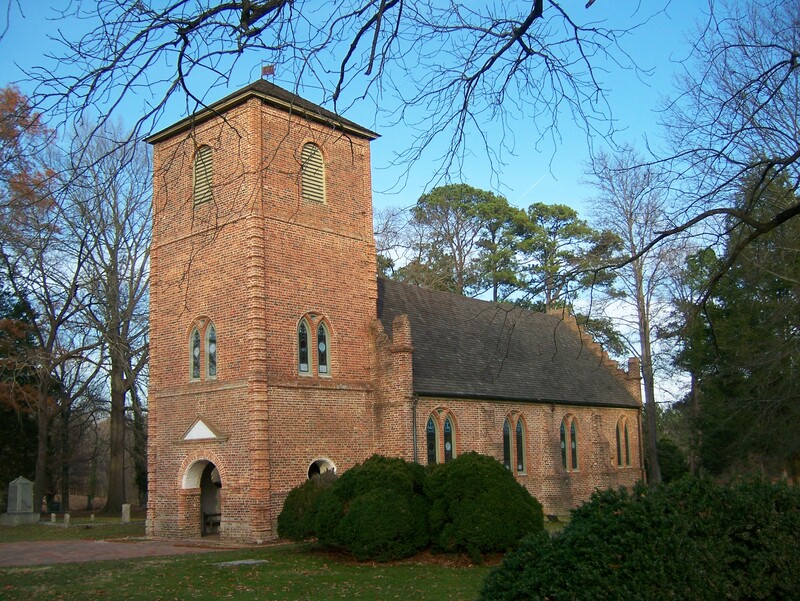 An organizational meeting was held at Historic St. Luke’s Church, Isle of Wight County, Virginia. 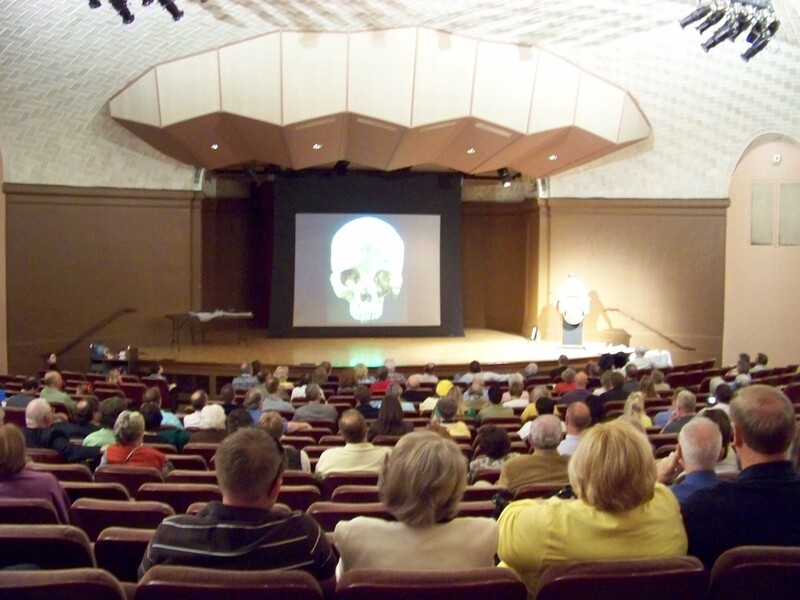 Dr. Douglas Owsley, of the Smithsonian Institute’s NaturalHistoryMuseum, made a presentation on the proposal to temporarily exhume the remains of Gen. Joseph Bridger relevant to a forthcoming exhibit at the Museum titled Written in Bone: Life and Death in the Seventeenth Century Chesapeake. This meeting was preceded by the 49th Annual Pilgrimage that was dedicated to the Bridger Family, with a capacity crowd. Descendant, William P. Carrell II, delivered the homily. Yesterday, Tuesday, February 18, 2014 was another profound day in the Bridger family. 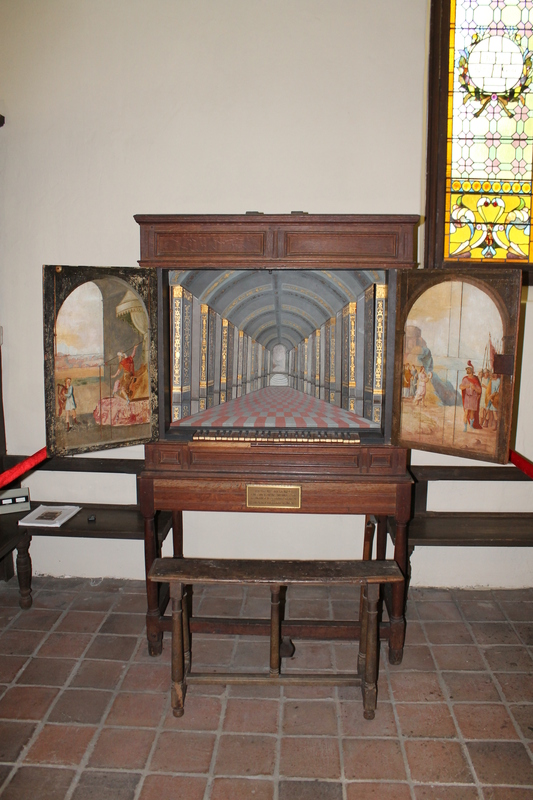 The remains of our Grandfather Joseph, were returned from the Smithsonian by Alain Outlaw and reburied in St. Luke’s Church under the ledger stone where he had lain from 1894 until 2007 when he was moved to Washington, DC. A very nice, reverent service was led by Rev. Randy Green, Smithfield, VA, minister of the church attended by Rachel Buchanan, the new Executive Director of St. Luke’s Church. We are very appreciative that Rev. Green was able to be with us. Rev. Green read several passages of scripture and even gave some highlights into the life of our Great Grandfather. Prayers were said which gave the reburial service finality. A beautiful spray of spring flowers was placed at the head of his ledger stone. We had even asked that a few sprigs of Rosemary be placed within the flowers as we are certain Rosemary was used at his funeral in 1686. We were very appreciative of the heartfelt assistance given by Ms. Buchanan in the short time we had in planning the service. We look forward, with enthusiasm, to working with Rachael in the future. What a welcomed addition she is to the church. 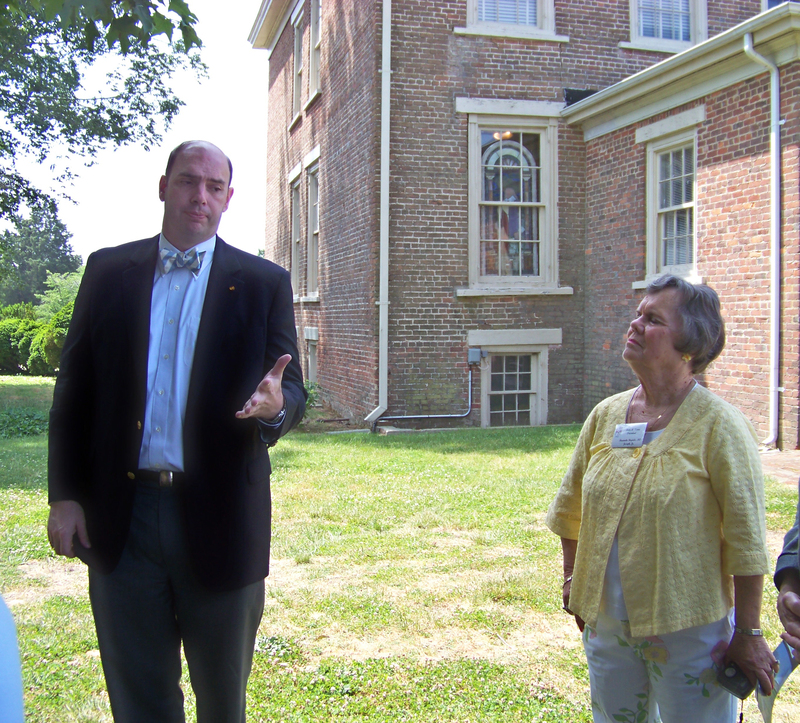 In talking with her, a Rosemary bush will be secured and planted near the church in Memory of Gen. Joseph Bridger by the Bridger Family Association. All the Bridger family extends their many thanks to Alain Outlaw. He has been such a super, wonderful person to our family for so many years and we are so fortunate to have him as a part of our family. In my heart, I know Grandfather is happy to be back in the church he cared for and loved so much. Liturgy of the Dead, according to use of the Anglican Church’s 1662 Book of Common Prayer, in celebration of the life of Gen. Joseph Bridger at Historic St. Luke’s Church, Isle of Wight County, Virginia. 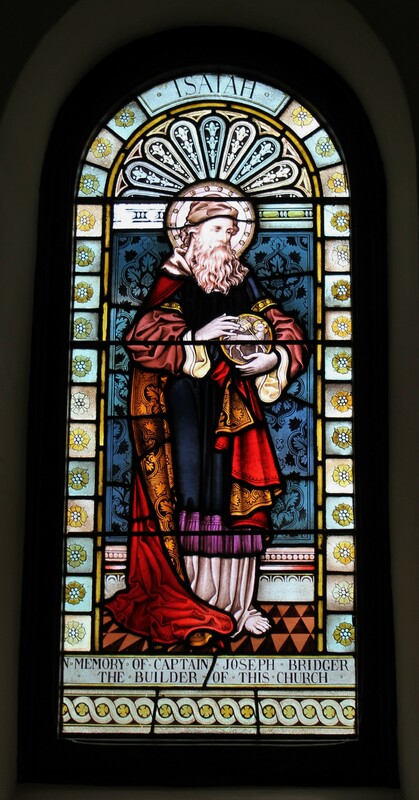 Descendants were involved in all aspects of this service including the delivery of a eulogy by William P. Carrell II and the singing of the metrical version of The Lord’s Prayer, from the 17th-century Hodsden Bible, by Abbey Outlaw. Following the service, which was attended by over 200, the Second Annual Meeting of the Association was held in the Church. Dr. Douglas Owsley, of the Smithsonian Institute’s Natural History Museum, gave a presentation of the exhumation of Gen. Joseph Bridger’s remains. The reunion took place in Williamsburg, Virginia. There were 77 of us aboard the Miss Hampton II for our dinner/cruise. We requested that the Captain take us up the James River as that would have been the route our Grandfather Joseph would have taken when he arrived in the 1650s. Dr. Doug Owsley and his wife, Susie, were with us. Doug shared information he learned about Grandfather Bridger, namely that lead tests have proven that Grandfather had a very, very large amount of lead in his bones. This was from eating off metal (pewter, white metal, etc.) plates and using metal eating utensils for so many years. Dr. Owsley said Grandfather also had Gout. With that and the lead poisoning, Grandfather was probably not a very happy person in his later years. Members of the Bridger Family Association listen as Dr. Doug Owsley explains how the bones of Joseph Bridger were examined. 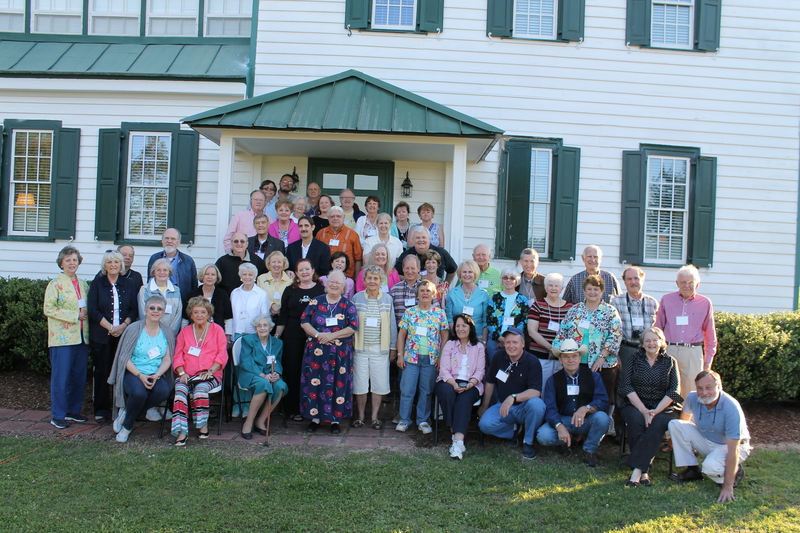 The gathering was held in Smithfield, Virginia. We took tours of Bacon’s Castle, Smith’s Fort Plantation and Windsor Castle Park. Alain Outlaw gave a presentation near Windsor Castle about archaeology done at that site. 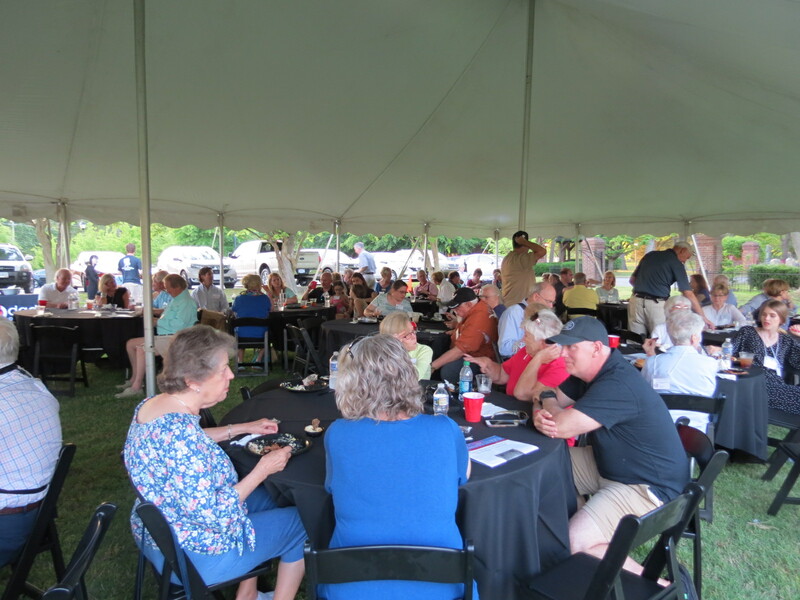 At the Saturday evening banquet meeting, we again heard a program by Alain on the Wheatland Foundation Inc. Archaeological Investigations at Whitemarsh, Home of Col. Joseph Bridger. 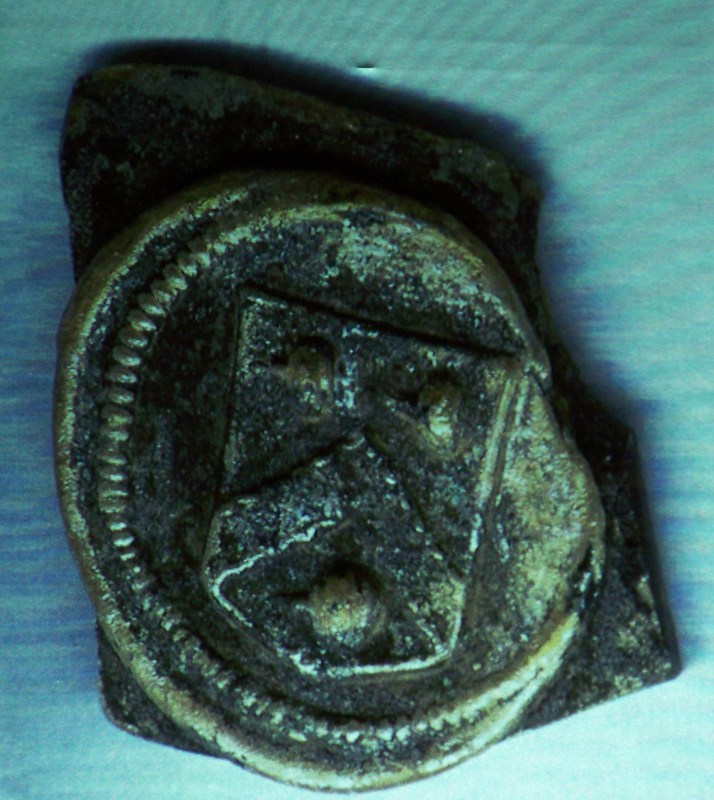 A most exciting discovery at Whitemarsh was a wine bottle seal, which had the Bridger Coat of Arms molded onto the cap. Also a bottle seal with “HB” on it was also found which indicated that Hester Bridger, wife of Joseph, had her own seal for her wine bottles. Wine bottle seal with Bridger coat of arms. 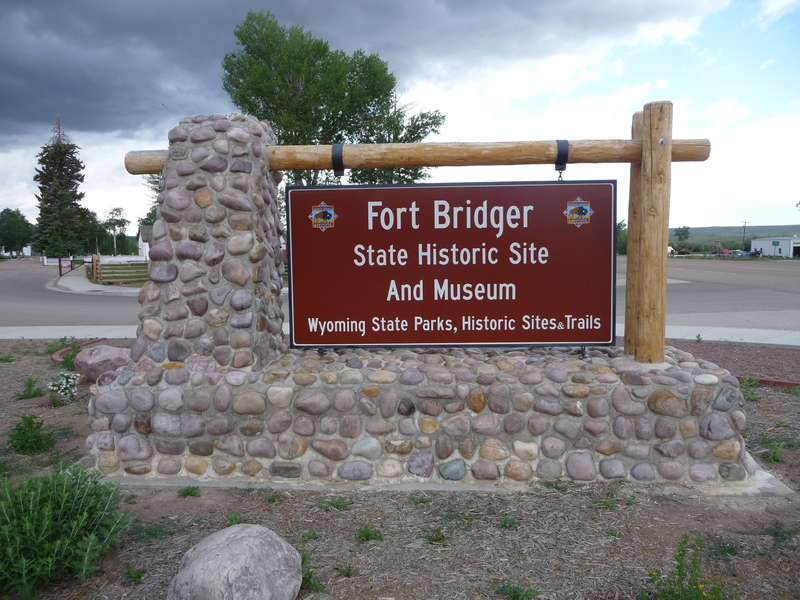 The Bridger Family reunion was held at Fort Bridger in Wyoming. It was an exciting trip for all who attended. Members of the Fort Bridger Historical Society gave our members tours of the fort. At the Saturday night dinner meeting, Bobby Bridger http://www.bobbybridger.com/> entertained the members and “retired his buckskin suit” and donated it to the Museum at Fort Bridger after his performance. There was a full-day trip to the Bridger-Teton National Forest <http://en.wikipedia.org/wiki/Bridger-Teton_National_Forest> and the Grand Teton National Park. The gathering was held in Suffolk, Virginia. We had cousins join us from all over the USA. Several of us did some research at the new Isle of Wight Courthouse in Smithfield. At our Friday gathering (photo above) we attended a picnic at Squire Hall. Caryn Johnson displayed a large Bridger descendant chart that she created. Our Saturday evening banquet group photo is above. Alain Outlaw reported at the dinner/meeting that at the dig at Whitemarsh in the spring of 2011 he found two graves containing remains of males buried in the early 1700s. He immediately knew they were males because he found three buttons in each grave at the waist line, which were the trouser buttons. Alain knew that neither grave was Joseph Bridger’s as none of the bones were missing in the two graves. 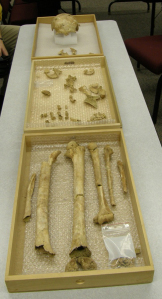 Alain was not able to remove any remains because the bones were “mushy,” as the graves were in a low area of the farm. 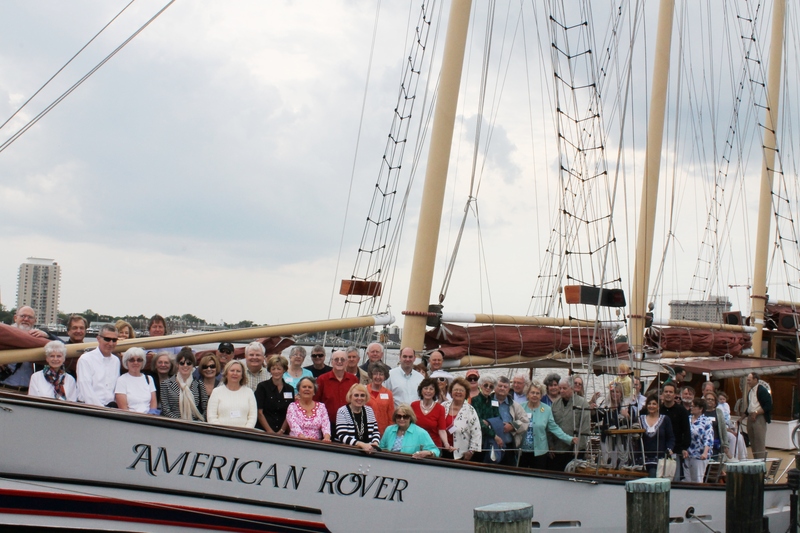 We held our annual gathering at the Sheraton Waterside in Norfolk on May 9-12. On Friday evening we held our annual banquet/dinner meeting. Merry Outlaw was the speaker and she showed us artifacts found at Whitemarsh Plantation, the home of our ancestor Joseph Bridger. 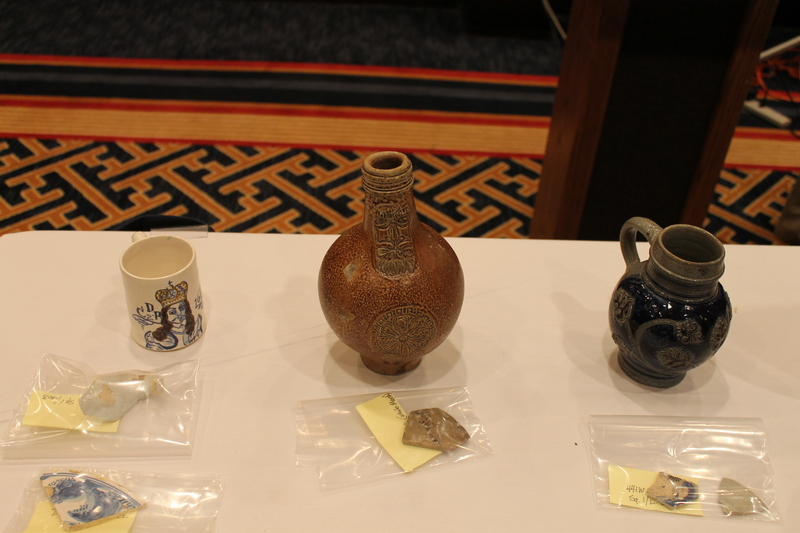 She compared those artifacts to others found at other archaeology sites, and showed either actual items or photos of intact items, so that we could view what actually had been used by Joseph & Hester and their family at Whitemarsh Plantation. This Bridger Family Gathering in England was the trip of a lifetime! There were over 75 Bridger cousins with us when we visited Southern England where we visited historic locations where our Bridger ancestors lived. We stayed at the beautiful Tortworth Court Four Pillars Hotel, which is is a Victorian mansion in South Gloucestershire built in Tudor style for the 2nd Earl of Ducie between 1848 and 1853. 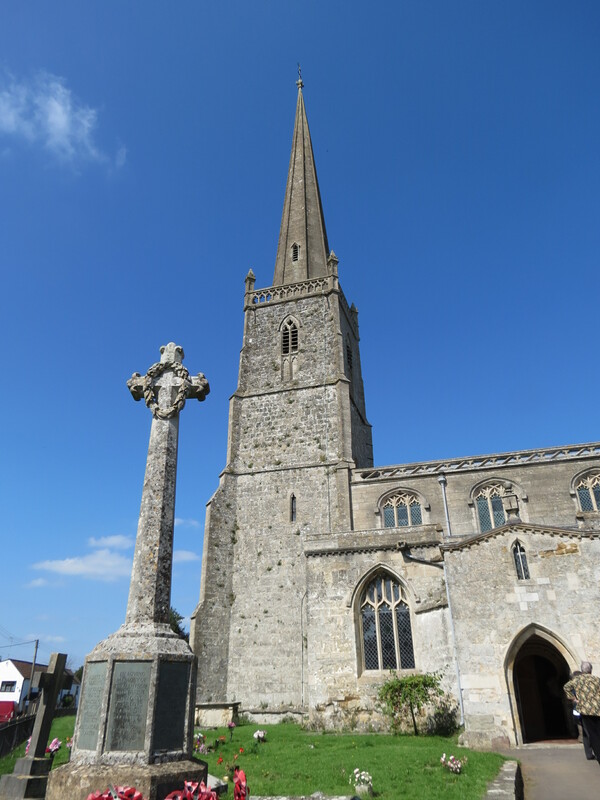 We visited Woodmancote Manor, birthplace of Grandfather Joseph, Slimbridge Church (picture above) where Lawrence Bridger was Rector for 57 years, Berkeley Castle, Gloucester Cathedral where Samuel Bridger is buried, The Cotwalds, Stonehenge, Cheddar, and Chepstow Castle in Wales. 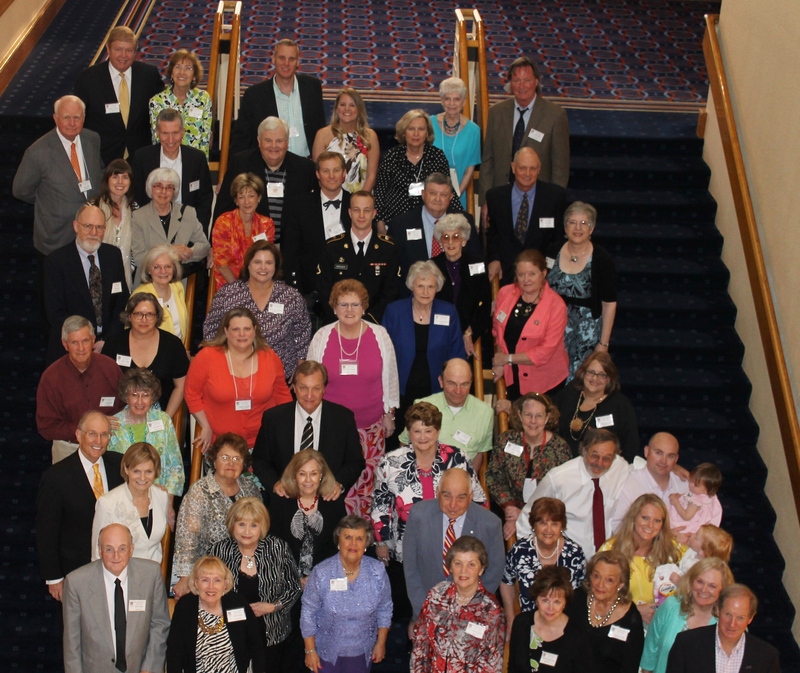 More details and photos can be seen by clicking on the 2014 Reunion tab on the top of this page. 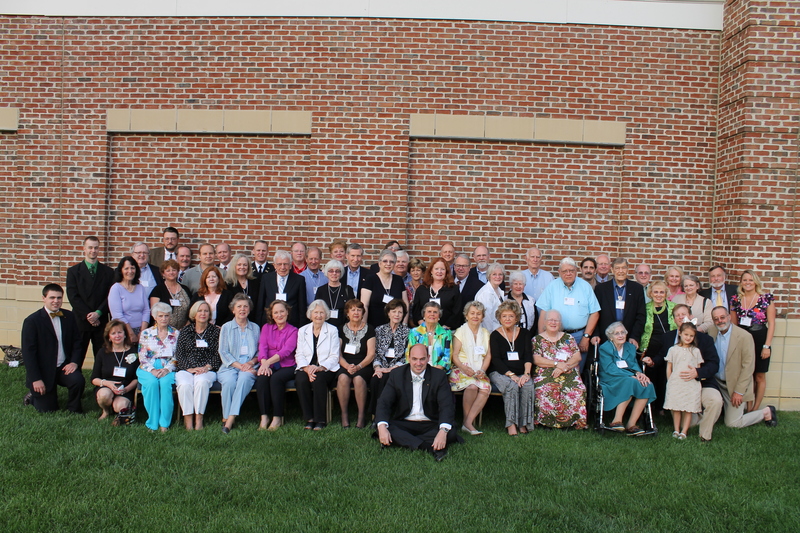 Our 10th anniversary Gathering took place in Williamsburg, Virginia May 14-17. 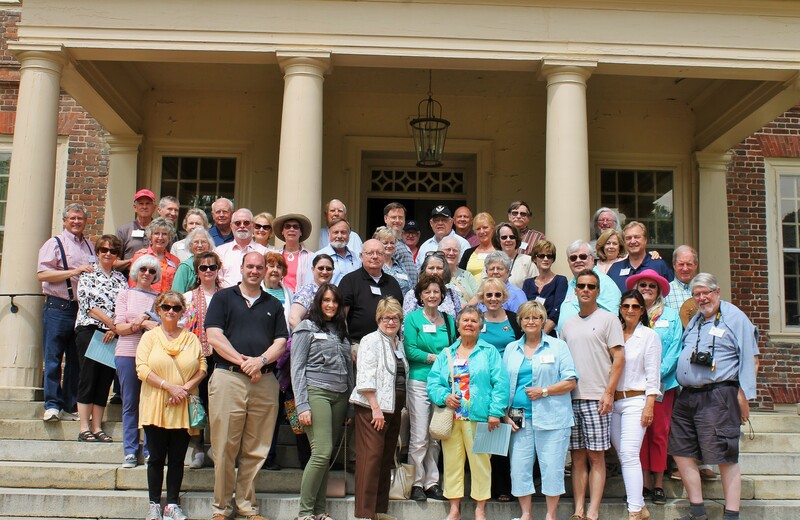 We took a bus to tour three James River Plantations — Westover, Berkeley, and Shirley. We enjoyed a box lunch while at Berkeley Plantation. On Saturday night we celebrated at a Banquet & Annual Meeting at the Doubletree Hotel in Williamsburg. We had a record attendance of 85, with several cousins joining us for the first time. 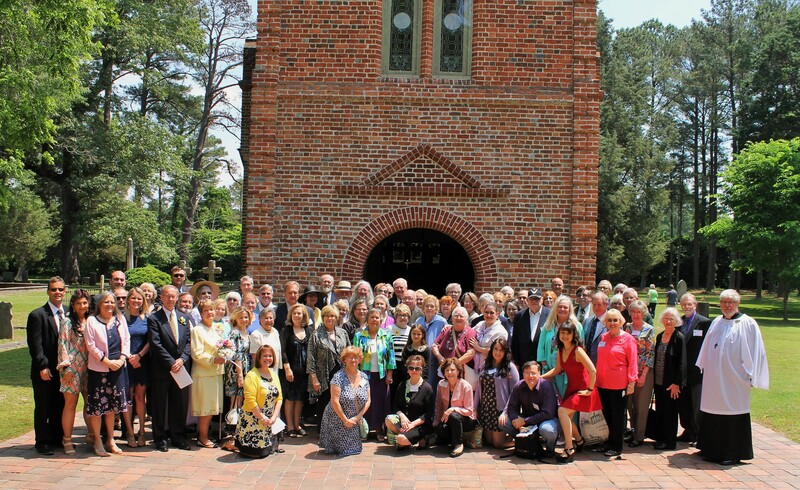 On Sunday we all met at St. Luke’s Church in Smithfield. David Carrington of Slimbridge Parish in England led the service. Four couples renewed their wedding vows. 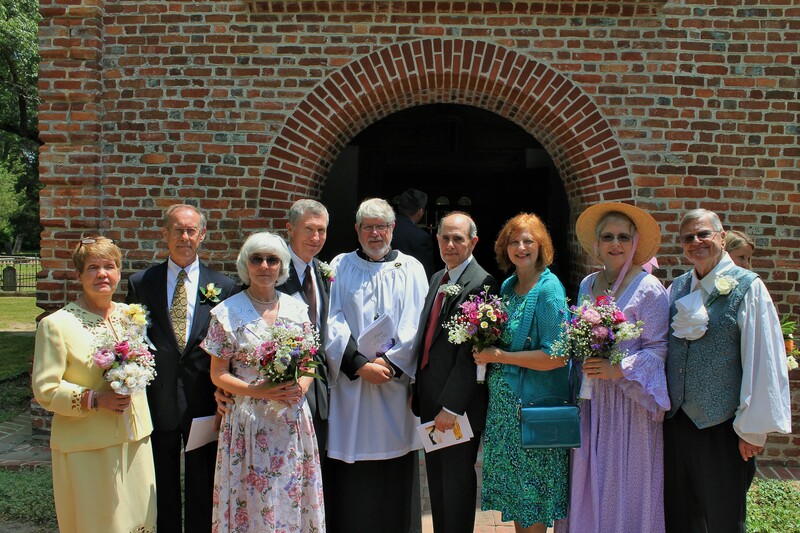 Four Bridger descendants renewed their vows. Our 2016 Gathering was held in Nags Head, North Carolina in the Outer Banks. 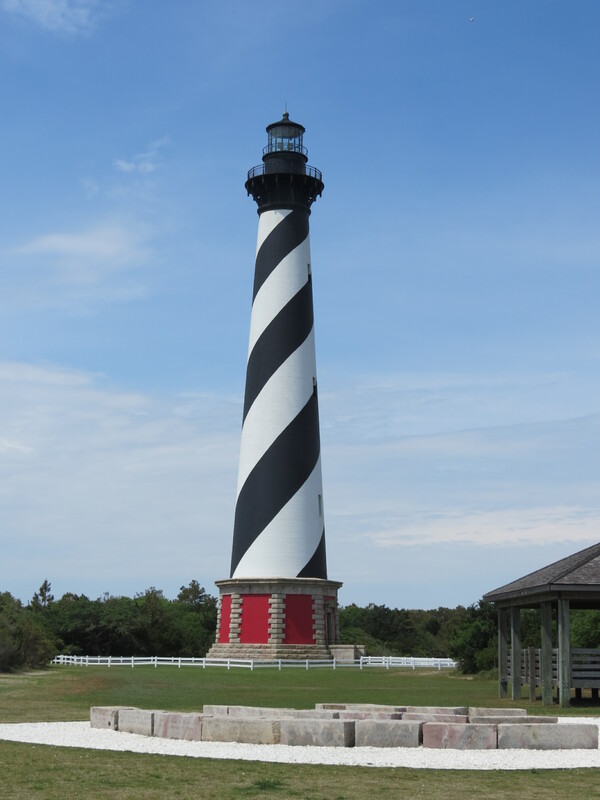 We visited the Cape Hatteras Lighthouse and enjoyed visiting other areas in the Outer Banks. We enjoyed a dinner at The Tale of the Whale Restaurant on Friday night. On Saturday we visited Fort Raleigh National Historic Site where they preserve the location of Roanoke Colony, the first English settlement in the present-day United States. The site was preserved for its national significance in relation to the founding of the first English settlement in North America in 1587. The colony, which was promoted and backed by entrepreneurs led by Englishman Sir Walter Raleigh (ca. 1554–1618), failed sometime between 1587 and 1590 when supply ships failed to arrive on time. When next visited, the settlement was abandoned with no survivors found. The fate of the “Lost Colony” remains a mystery. 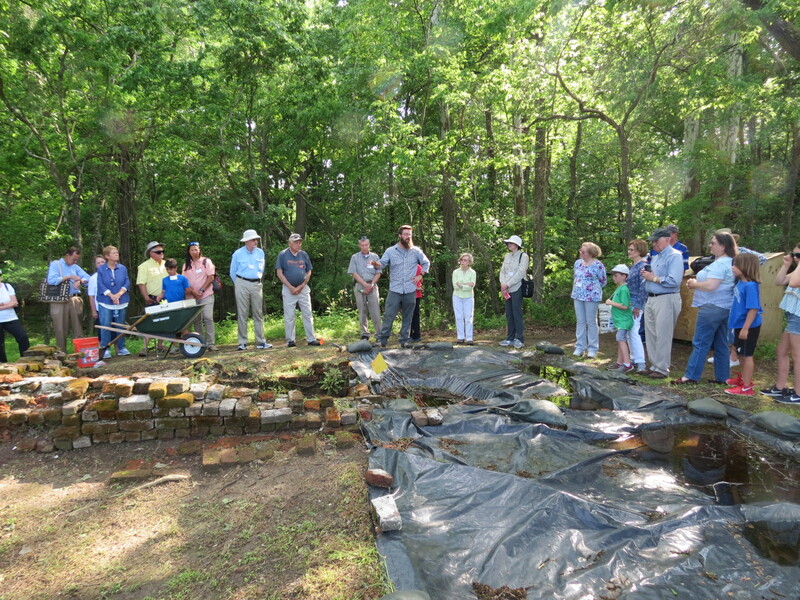 Archaeologist Clay Swindell gave us a tour of the area and talked about the findings in the past of the Lost Colony of North Carolina. John Bridger was a member of the Lost Colony. We do not yet know how John Bridger was related to Joseph Bridger; however he might be the John Bridger (b. ca. 1548) who was the son of Richard Brydgere (c.1510-1594) of Godalming, England. 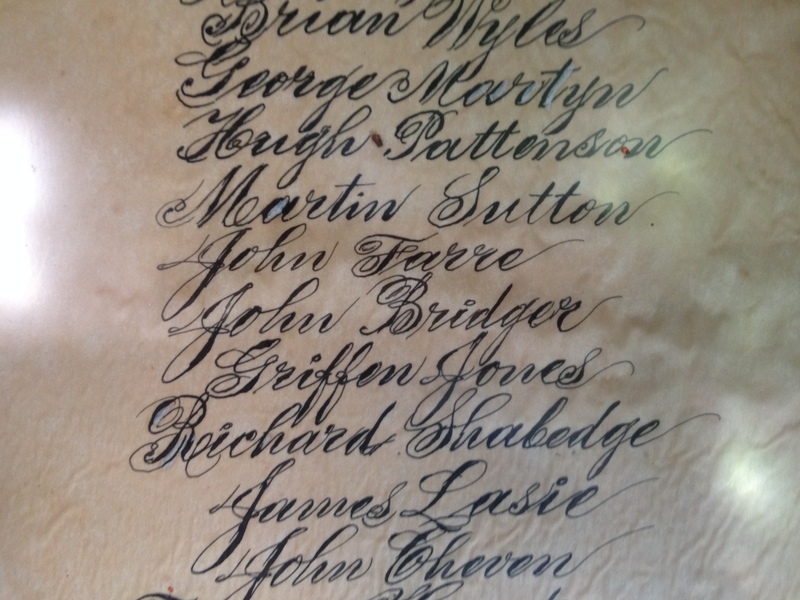 The list of the 1587 Roanoke Island Colonists that show John Bridger. While not an official Bridger Family Gathering, the weekend of September 9-11 was a very special weekend for the Bridger family. 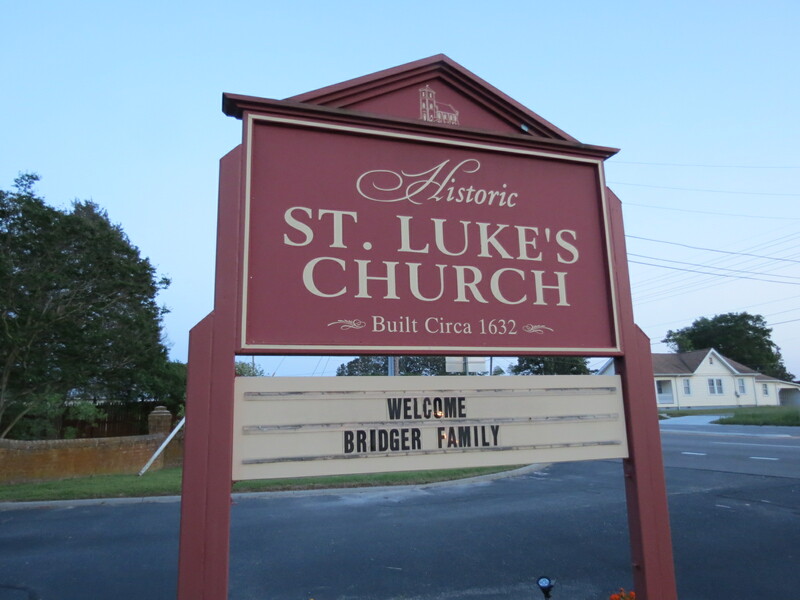 Historic St. Luke’s Church held an event entitled General from Whitemarsh: Celebration of Joseph Bridger. It was a 17th-century living history weekend with special guest presentations on Historic St. Luke’s most revered patron, Joseph Bridger. 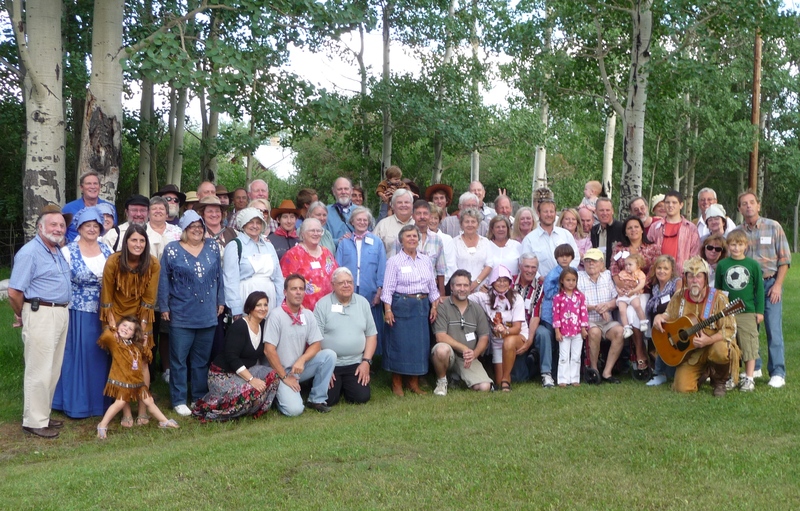 There were approximately 70 Bridger cousins who attended one or more of the several events that took place. 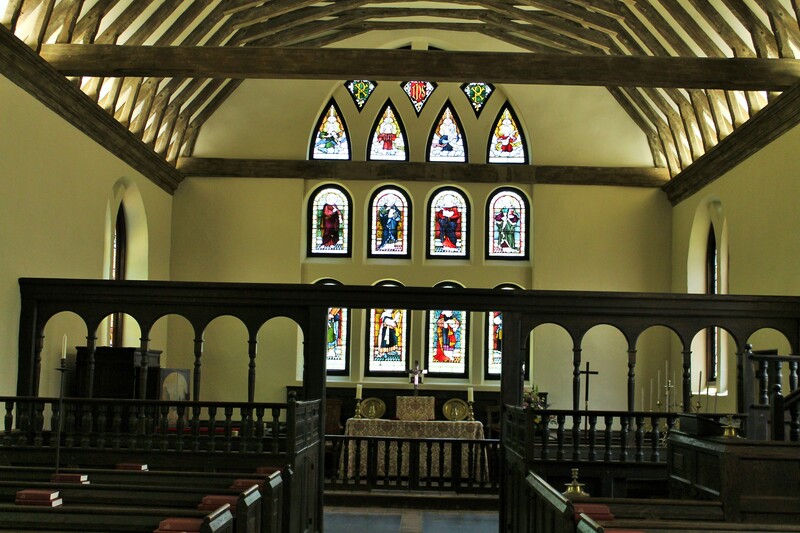 Friday night we attended a wonderful dinner that was held in the hall of the St. John’s Church in Suffolk. We had a delicious dinner and had a wonderful time visiting with our cousins. On Saturday Chief “RedHawk” Brown of the Cheroenhaka Indian Tribe gave a lecture on the history of the Cheroenhaka (Nottoway) Tribe and its context in the 17th century. Dr. Doug Owsley talked on the enduring legacy of the Written in Bone project that included the exhumation and study of Joseph Bridger. Then Bill Hodsden presented a program on “The Future of Whitemarsh.” In the evening there was a period musical program performed by The Locrian Consort. Some also attended a nighttime cemetery tour. 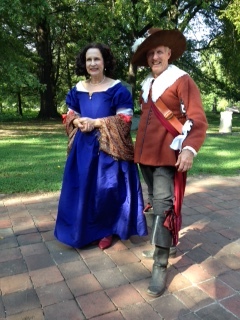 On Sunday there was a 1680’s style faux, interpretive church service that was conducted by Brett Walker. It was very special for us to meet our Grandfather Joseph Bridger and his wife Hester Pitt Bridger, who were portrayed by two professionals who portray historical persons. We had the most people we’ve ever had at this gathering of Bridger cousins, with 80 signed up for our Saturday night banquet. On Friday we all got to visit Whitemarsh in Isle of Wight County and see the foundation of what is believed to be Joseph Bridger’s large home. Archaeological research will take place this year and we’re hoping to find graves, and artifacts. Ground penetrating radar will also be performed. On Saturday we were invited to a special reception at St. Luke’s to honor donors and volunteers. We gathered Sunday at St. Luke’s Historic Church to participate in a Book of Common Prayer service lead by David Carrington, who, along with his wife Tricia, were visiting from England. We went to Whitemarsh and saw the progress on the ongoing archaeology work being done by Alain Outlaw and his crew. If you have questions about this website, email the Webmaster Elaine Powell at Elaine64@aol.com. Based on lineage described, I believe that my sister and I have a direct connection through Hester Bridger. We are descended from Robert Pitt and George Norseworthy.. It is good to hear from a Bridger cousin. Can you outline your descent? I will send you an email. I James T. Bridges am a direct descendant of Reverend Lawrence Bridger of England. My father is James Clarence Bridges, My Grand Father is Elam Soloman Bridges, my G.Grand Father is John R. Bridges, 2nd. G.Grand Father is Jeremiah Bridges, my 3rd.G.Grand Father is Britton Bridges, my 4th. G.Grand Father is William Brasswell Bridger’s. Reverend Lawrence Bridger is my 11th G.Grand Father. I enjoy reading information about the Bridger family from you, ancestry.com and others. Thank you Elaine Powell. I have a difference in my Bridger tree. Can you please send me the dates you have for William Braswell Bridgers? I do not have Britton Bridges as a son of William Braswell Bridgers. I do have two men named Britton Bridgers, but neither are the son of William Brasswell Bridgers. So if you send me the dates and wives’ names of the men in your early ancestry, we can figure this out. I am from columbus bridges and cornelius bridgers in south west north carolina. Married into the filbeck and greene families. Elaine; Please notify me of any additional information you receive or know about. Thank you for all your hard work concerning the Bridger family. On the BFA website you can select to be notified if I make any changes. That is the best way to find out about changes. Are you interested in being a member of the BFA? If you’d like I can send your email to our President Jean Tomes and ask her to put you on her mailing list and then you will receive all the BFA newsletter. I am also a Bridger descendant. Here is my line: I’ll begin with myself: Trent Patterson-Donald Patterson-Donald M. Patterson-John Howard Patterson-Florence (Joan, Joanna) Blake-Marcus J. Blake-Nancy Mary Switzer- Nancy Bridger-John Bridger-Robert Bridger- Joseph Bridger- Joseph Bridger (9th Great grandfather). This is a direct line from me to him, so I haven’t included spouses. I have more information too if need about the more recent lines if needed. Please feel free to verify/analyze my line if needed. If there are any questions please feel free to ask. Best regards, Trent Alan Patterson. Who was the wife of John Bridger? I have a 2nd wife for John named Mary Powell. They had a child; however, I do not have a name for that child, only a birth date of aft 1 Jan 1798. John’s other wife was Nancy Wainwright. She had a daughter named Nancy Wainwright Bridger; however she married Christopher Coffin. Is that your ancestor? I believe after tracing my bridges family line on my fathers side that col. joesph Bridger is my 12th grandfather. How would I need to go about confirming that with you? I have emailed you a reply. Britton Bridgers is on all William Braswell’s will’s. William married Nancy Bell 1789. Britton was born 1790 and must be the oldest child. I have a copy of the deed’s with his signature. I also have Britton Bridgers owning property in Covington County, MS. 1930. This is the area where he died. One way or another I would like to resolve this issue. Thank you Elaine. I am Terisa Tuck Parrish.. Grandaughter of Columbus Melton Bridges of Shelby, North Carolina. Does Columbus Melton Bridges descend from Joseph Bridger? I traced back as far as i could and i am supposed to be. The name change ftom bridger to bridges on a deed in richmond va.
Elaine; I would like very much you putting me on the Bridger Family Association list to receive any information on the Bridger family. Britton was also, the guardian of William Braswell Bridger’s will’s. Hi our family is in South Africa and we would love to fined out if we are all related. How could I get my hands on the books that you have? Hi Elaine; In deed book 18-387 Edgecombe County,Rocky Mount, N.C. is William Braswell Bridgers will. Briton Bridgers is one of the 11 children listed. One will, William deeded his horse Briton, bridle and saddle to his wife Tobitha. She was not to take the horse off the farm to use as a work horse. The Bridger Family Association website is not a subscription site. If you signed up to receive alerts when someone posts to the site, you must go on the site and change your email or sign up with your new email address. Elaine; Britton Robert Bridges/ Bridger’s named a son Britton Braswell Bridges and Britton Braswell named his son Britton Braswell.Bridges. Britton Robert’s son fought in the Confederate Army and was killed while serving in Kentucky. Britton Robert Bridges the father and grand father Owned 5500 acres in Covington and Lawrence Counties, MS.He was also the owner of 50 slaves. I hope this information may help make this decision. I am trying to prove it now…but of course there is lost paper work as the family moved from norather Virginia to south west north carolina. Hi Elaine;Since we have records of William Braswell Bridger’s marring Nancy Bell on April 10, 1789 and Britton born 1790, Harty born Sept.22,1791,Willis born, Nov.24,95 and Britton is one of their three children, I feel that this should be sufficient evidence that Britton’s father is William Braswell Bridger’s. William was married 2 more times after.I know their is plenty of evidence of the family patent and head righting land in S.C.,G. and MS. They were sure an adventurous family..Thank you for your help Elaine. My name is Sharon Bridgers Overton. My father was Quincey Jackson Bridgers. ( 1920 – 1970 ) My grandfather was William Henry Bridgers. (1893 – 1969 ) My grandmother was Lula Marthann Harrell. (1897 – 1969 ) My great grandfather was George Washington Bridgers. (1868 – 1946 ) My great great grandfather was James William Bridgers. (1832 – 1896 ) My Aunt is Doris Bridgers Capps – Owens. I would be very proud to be accepted into the Bridgers Family Association. Thank you for your consideration. If your aunt is Doris Bridgers Capps-Owens, then she will have all your genealogy for sure! I will email you info about the Bridger Family Association. I just posted new info about the reunion to the BFA website. I believe Joseph Bridger is my 10th great grandfather. My connection does go through Hester Bridger and assumes she was married to George Williamson. I took note of the “probably” on this marriage and am now assuming it cannot be absolutely proven. I am new to the genealogy world and I have tried to be careful and I would appreciate any suggestions for steps I can take to try to confirm my connection to Joseph. Why don’t you send me your line as you know it and I’ll see if I can help? I’ve emailed you a Descendant Report for George Williamson. i. ROBERT WILLIAMSON was born in Isle of Wight Co., VA.
ii. GEORGE WILLIAMSON was born in Isle of Wight Co., VA. 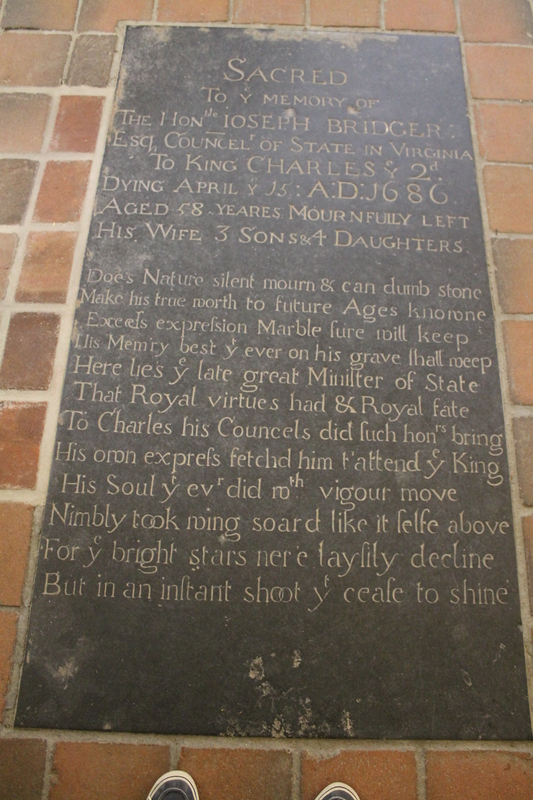 He married Frances Davis, daughter of Thomas Davis and Elizabeth ?, before 04 Mar 1721 in Isle of Wight Co., VA.
iii. THOMAS WILLIAMSON was born in Isle of Wight Co., VA. He married Olive Exum, daughter of Francis Exum and Mary ?, in Virginia. iv. HESTER WILLIAMSON was born in Isle of Wight Co., VA. She died after 14 May 1748. She married (1) JACOB DARDEN, son of Jacob Darden, before 1721 in Isle of Wight Co., VA. She married (2) WILLIAM BIDGOOD, son of John Bidgood and Ann Lupo, after 26 Apr 1721 in Isle of Wight Co., VA.
v. ELIZABETH WILLIAMSON was born in Isle of Wight Co., Virginia. She died before 1736. She married ? Joyner in Isle of Wight Co., Virginia. vi. JOHN WILLIAMSON was born in Isle of Wight County, VA.
vii. JULIANNA WILLIAMSON was born in Isle of Wight Co., Virginia. viii. PATIENCE WILLIAMSON was born about 1695. She died in 1751. She married Robert Exum, son of William Exum and Susannah ?, in Isle of Wight Co., Virginia. Hi Elaine…. I have performed a small amount of research into my grand daughters fathers line. He is a Bridger… and I “think” via ancestry.com that there is a link into this Bridger family. 1. How should I proceed with your association to see if there is a match? 2. IF there is a match… what next? 3. Is there enough documentation available through this and other sources for him to apply for a SAR, and eventually my grand daughter for a DAR membership? Thanks Chris Wimmer – Pinole CA. Is this part of the frontiersman Jim Bridgers family tree? Yes, it is. Jim Bridgers is a descendant of Joseph Bridger (1628-1686). 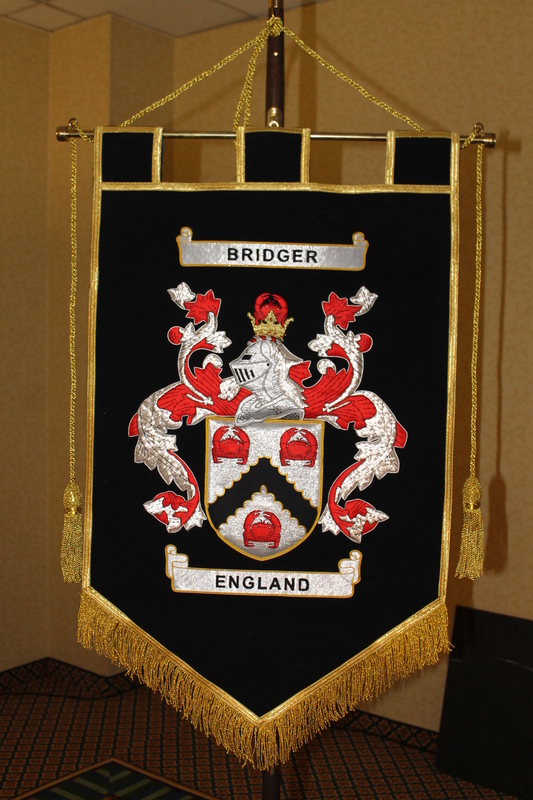 Are you a Bridger descendant? Yes, Jim Bridger is my great-grandfather on my father’s side. Hi Marc, You might be interested in some research papers that were just sent to me by a woman who spent many years researching Jim Bridger and his wife. I will email you about this. Hello Elwood. I will email you directly. 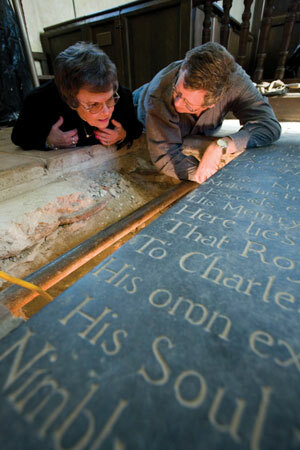 Hi Elwood, If you would like more information about the archaeology you can email Merry Outlaw at xkv8rs@aol.com. My Mother and my grandmother had done a lot of research and found the connection to the Bridger Line, Also in the research that I have done, I found a book “God’s Infinite Variety, An American” by Georgia B Todd. Any help I could get from you would be helpful. Hi Ross, What help would you like? The Bridger book has your line down to John Goodrich 1776. But nothing further down closer to you. According to the The Bridger Chronicles book, the family became loyalists during the Revolutionary War and so moved to Devon, England. Did they stay? Or did your line immigrate back to America? A few of the son’s stayed, and the parents and some children moved to England. The Family that stayed changed names a few times, Gutridge and Guthridge. I don’t know much about the Bridger line, some of the information that we have is garbled or incomplete. Ross, You didn’t say what help you’d like to have? There is a book that you can read online for free that Bill Carrell wrote about the estate. 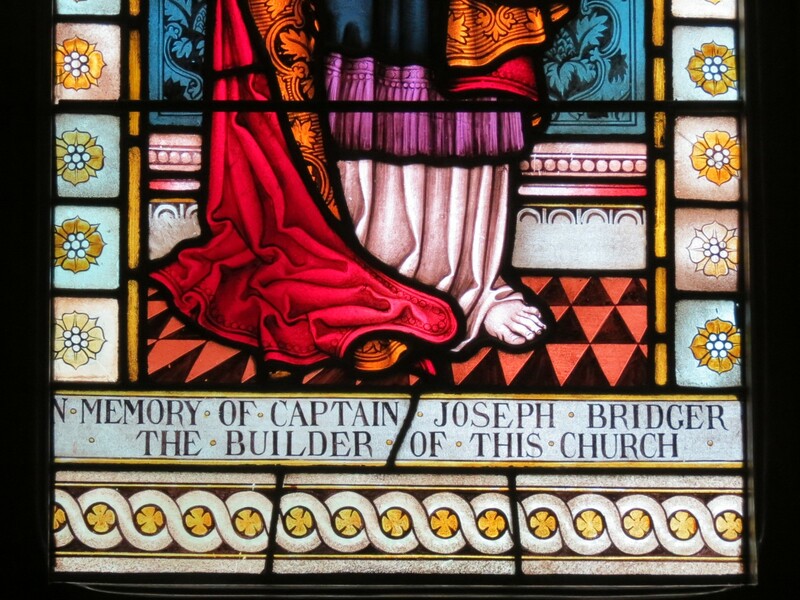 Look at the page that has the list of facts about Joseph Bridger and the link to the book is right below the photo of Joseph’s ledgerstone. Hello. 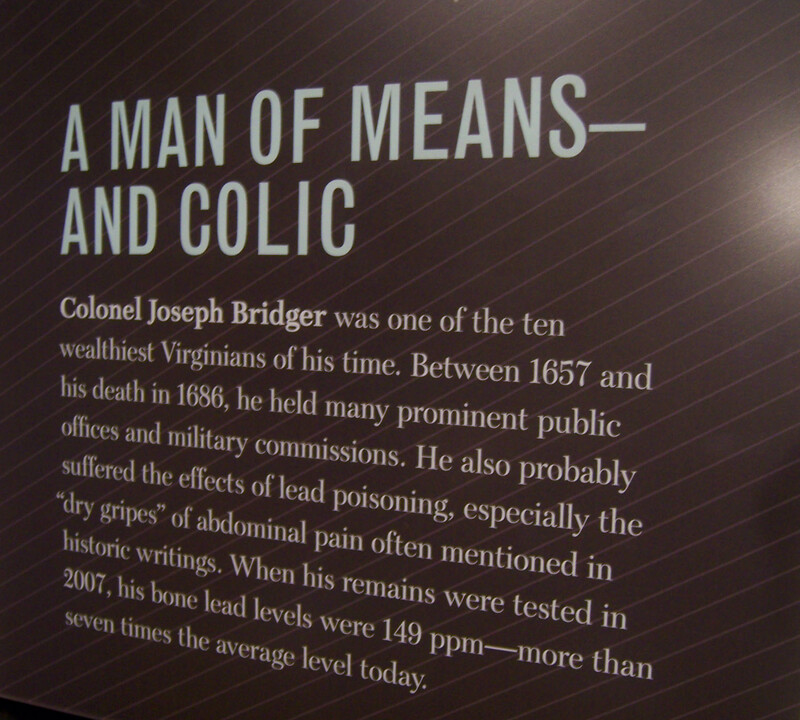 My grandfather’s name was Bridges, and I have traced his lineage all the way back to Col. Joseph Bridger. My mother’s maiden name was Bridges too. It is a delight for me to see this site honoring this great man. Many kudos to the men and women cultivating this site, and honoring the Bridger name and lineage. Thank you so much! Thank you Gary. I am the webmaster and I appreciate your comments. Let me know if you are interested in joining the Bridger Family Association. Our reunion starts next week! Jim, I’m sorry, but there is no Elizabeth Bridger in our Bridger family who married a John Button in ca. 1718. My name is Elwood Perry. I am a descendant of Phillip Perry of Whitemarsh, whose son, John Perry, sol Whitemarsh to Col Bridger. I am curious, how much history is there at Whitemarsh or St Luke’s on the Perry’s?